Dull, dry, aging, or uneven skin? 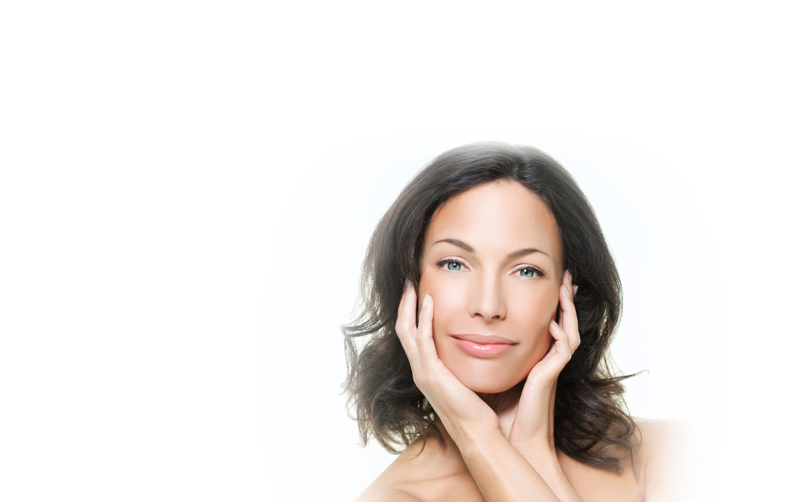 A medical-grade chemical peel can be customized to your needs, leaving you with a healthy, youthful glow. Chemical peels are made up of a variety of exfoliating agents, usually acids, that are carefully applied to the skin to safely remove the top layer of dull, damaged skin. This allows your fresh, healthy skin to shine through, reducing the appearance of fine lines, improving scarring, minimizing sun damage and uneven skin tone, and giving your skin an overall healthy, beautiful glow. Depending on your needs and the nature of your concerns, one of our experienced medical providers will recommend the right chemical peel for you. At Ahava, all skin treatment plans are directed by one of our cosmetic surgeons, so you can be confident that you are receiving safe, effective treatment. Chemical peels utilize a variety of ingredients and are classified by how deeply they penetrate the skin into three main categories: superficial, medium, and deep. Superficial peels affect only the topmost layer of skin, the epidermis, and can reduce the appearance of fine lines and improve the skin color and tone. Patients love these mild peels because they can be performed during your lunch break and cause minimal redness and flaking. Medium depth peels affect both the epidermis (top layer of skin) as well as the dermis (deeper middle layer of skin) for a more dramatic rejuvenation. A 25-35% TCA solution is the most commonly used medium depth peel used in our office. It is usually performed under light sedation or under general anesthesia when combined with other procedures such as facelift, brow lift or eyelid surgery. The skin turns brown in color and then flakes off over the course of about a week. Following this peeling process, a new layer of skin is exposed that has a smoother texture, better tone, and fewer fine lines. With medium depth peels, you’ll be provided with a selection of special skincare products at least 4-6 weeks prior to the peel to prepare youu skin for treatment. Deep peels provide the most dramatic results because they penetrate the deeper layer of dermis and usually use phenols. These peels require a longer recovery and are suited for patients with severe sun damage and wrinkling on skin that cannot be corrected with other methods of peeling. While deeper peels do require a bit more downtime, and you’ll experience a more intense peeling, most patients think it is worth it for the quality of their results and skin rejuvenation. Exfoliate, infuse, extract, hydrate, and see immediate improvement in the skin’s texture, tone, and appearance with this technologically advanced treatment. This process rejuvenates and hydrates skin cells for better cellular turnover and a healthy glow. You can choose from an ultra hydrating, antioxidant brightening or a pore clarifying serum to be infused deep into the skin where they are most needed. A powerful resurfacing treatment gives you a glow and fights the effects of time and sun damage, as well as correcting mild acne scarring. This 3-step, pharmaceutical-grade peel delivers concentrated Retinol to the skin. It improves overall appearance of fine lines and wrinkles and is designed to renew and restore skin’s gorgeous glow. Includes Retinol 0.50%, Vitamin C, and Vitamin E. Also includes product to take home to intensify the peel. Tackle skin issues on a cellular level with this advanced peel. This deep peel works on fine lines, enlarged pores, and helps with hyperpigmentation for a more even skin tone for all skin types. Great for all skin types, this treatment improves skin texture and reduces pore size as well as hyperpigmentation. After a thorough cleansing, your skin is expertly exfoliated with our medical grade Microdermabrasion to polish away dead skin and leave a clear and glowing complexion; Next a customized facial including steam and extractions if needed and appropriate moisturizer and sunscreen. A great lunch time treatment for those who want results on the go! Skin in cleansed and exfoliated with our medical Microdermabrasion then moisturizer and sunscreen is applied to protect your skin. We invite you to contact us today to schedule your complimentary skin evaluation and consultation. During your appointment, you’ll meet with one of the highly trained providers at Inland Cosmetic Surgery & Ahave Medspa to discuss your concerns, explore which treatments and products may be the best fit for you, and ask any questions you may have about our practice or your treatment plan.